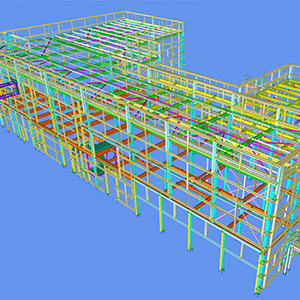 Temple Mill Steelwork Engineering tell us why BIMREVIEW was the right choice for them. Based in Nottinghamshire, but working throughout the UK, Temple Mill Steelwork Engineering work on projects ranging from alterations to new-builds. Keen to keep their business moving with the ever-changing times, they wanted to ensure they had the software that could ensure second-to-none levels of organisation and procedure management, save man-hours if possible and improve on the crucial communication factor that can be painstaking and time-consuming when dealing with various drawing systems from numerous engineers and other professionals. Dan is clear on where it has helped Temple Mill the most:"The member ID locator, the measure tool, the screenshot function and the clash checker have proved invaluable to us”. Business is growing for Temple Mill, they’ve recently secured a £1 million pound (GBP) contract and they’ll be utilizing the BIMREVIEW software throughout the management of this. They’re also hoping that the future will see all the design team at Temple Mill having the BIMREVIEW software installed as standard. Dan said he’d definitely recommend the BIMREVIEW software to others in the industry.